Outsourcing is when a business hires staff in a foreign location to perform tasks. This is a common process in modern business and is used by many top businesses according to HR news. There are companies that deal specifically with outsourcing that can assist you with this process. Here are the top five reasons why more business owners are using outsourcing companies. The number one reason why business owners choose to outsource is to lower costs. Labor and operational costs are often much cheaper in developing countries. Companies can produce the same product in a foreign country for the fraction of the cost of producing it domestically. This can have a significant impact on profitability. If you are looking to reduce your operational and labor costs, outsourcing companies may save you a lot of money. Many businesses are outsourcing to take advantage of lower tax rates. There are specific countries that have low corporate tax rates such as Singapore, Taiwan, Hong Kong and Ireland. Conducting business in these countries can save an American company a lot of money. If you would like to pay less in corporate taxes, you might want to consider outsourcing companies in one of these locations. Be sure to follow all domestic and international tax laws when doing so. Business owners are using outsourcing companies, instead of staff augmentation, to focus on growing the domestic organization. Once a core task of the business has been perfected, managers delegate the task to internal employees. This gives management a chance to focus on larger issues such as business strategy and company vision. The same principle applies when outsourcing. Foreign employees can handle the day-to-day tasks while the domestic side of the business concentrates on growing the organization. If you are looking to grow the company and are ready to delegate tasks, you could benefit from using outsourcing companies. Business owners can access specific skills with outsourcing companies. Training employees in new skills can be expensive and time consuming. It may also be difficult to locate particular skill sets domestically. Tapping into foreign markets can give a business instant access to these desired skills. This has been particularly effective in customer service and communications. Many top companies have sent these divisions overseas. If you need access to a specific skill set and cannot find it domestically, you may wish to use outsourcing companies that specialize in the area you need like unified communications and collaboration. Customer needs may not be limited to daylight hours or the standard 9-5 work day. Businesses can operate 24 hours a day, 7 days a week when they outsource. Using outsourcing companies in foreign countries with different time zones can expand your hours of operation. This is especially effective in customer support, as it allows your customers access to the help they need at any time of the day. If you need to expand your hours of operation, you might want to consider outsourcing companies. These three outsourcing companies are some of the best in the industry. Accenture, JLL and EXL have all received awards and certifications for their services, and have a ton of customer references to prove the provide excellent outsourcing solutions. In addition, these companies practice corporate social responsibility, which is important for businesses with ethically conscious customers and business principles. If you want one of the best outsourcing companies for your business, consider the innovative programs offered by these three. 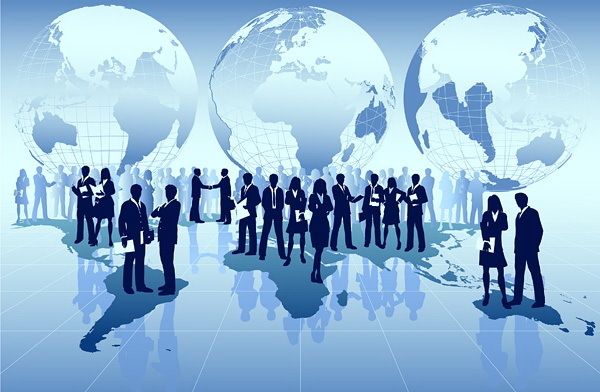 Outsourcing companies are popular in modern business for a number of reasons. There are cost saving advantages of hiring foreign companies to perform tasks. Labor and operational costs are significantly lower overseas, and corporate tax rates are favorable. Outsourcing companies such as Back Office Pro give owners a chance to focus on growing the business domestically. Access to specific skills and expanded work hours are also benefits of using outsourcing companies. This post highlights the top five reasons why more business owners are using outsourcing companies. If any of these advantages are appealing to you, consider speaking to an outsourcing company about your specific needs.